When you work in an enterprise environment, you might need to implement a company standard. 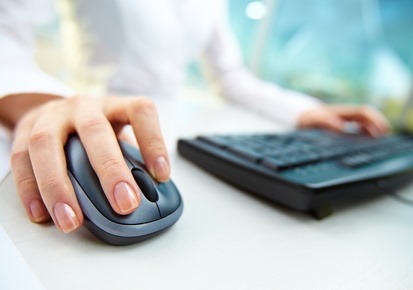 You want to enforce all AutoCAD users to use the same interface and custom commands. 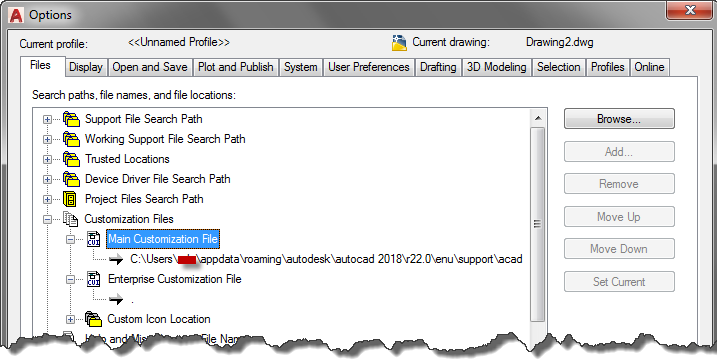 AutoCAD saves the interface elements in CUI file. 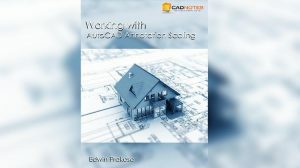 We covered the CUI tutorial before in this article if you want to learn how to customize AutoCAD interface. In this article, we cover how we can configure in the user computer to use enterprise CUI and also user CUI. The user CUI will allow users to add commands to the Quick Access Toolbar (QAT). First, create a new CUI file. Type CUI then press enter to open Customize User Interface dialog. Go to the Transfer tab, click Save button next to the New File. Give the new file a name. I use user.cuix for this tutorial. Go to Files tab. Under Customization Files, you can see there are Main Customization File and Enterprise Customization file. Set the Main CUI path to our new CUI file that we created earlier. Remember that this file will be the user CUI and will available in local drive. Also, set the Enterprise CUI file to the correct path. Currently, AutoCAD uses the enterprise CUI. When the user wants to customize the CUI (for example: adding tools to the QAT), she will see this warning. 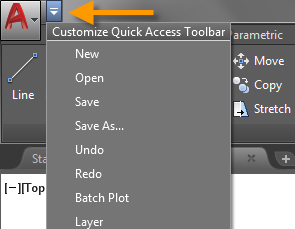 Try to right click on any tool and choose Add to Quick Access Toolbar. We need to modify the user CUI to allow her to modify the QAT. Open CUI dialog again. In the CUI dialog, go to Customize tab. Delete the QAT in the enterprise.cuix. You need to open the enterprise.cuix file locally. If you only choose it from the dropdown list, you will not be able to modify it. Notice that the enterprise.cuix doesn’t have QAT and user.cuix also doesn’t have it. Click OK to close the CUI dialog. Notice that now QAT is available, even we didn’t create it in the user.cuix. Click the arrow next to the big A and check what you want to see in the QAT. And certainly, you can right click any tools and add it to QAT! Now the user can add the tools they need to QAT but they can’t change anything in the enterprise CUI. Using enterprise CUI is a way to implement the company standard. You can force all the computers to have the same custom tools. You can use user CUI to allow them to customize their AutoCAD interface. You can define the main and enterprise customization file in the deployment. So you don’t have to set the configuration for each computer. You can install AutoCAD using deployment and everything will be set.